This week in Pre calculus 11 we learned how to add and subtract rational expressions that contained a binomial or trinomial denominator. These are quite ugly and difficult and require focus. I will show an example of each, and hopefully help you understand how to simplify these kinds of expressions. Multiply the denominator of one side to the other side (top and bottom) and then use the other denominator and multiply it to the other expression. Only multiply by what is need to get to the common denominator. We know that we need a (b+8), a (b+4) and a (b+6) we don’t use the extra (b+4) because there is already one being used, we don’t want have any duplicates. 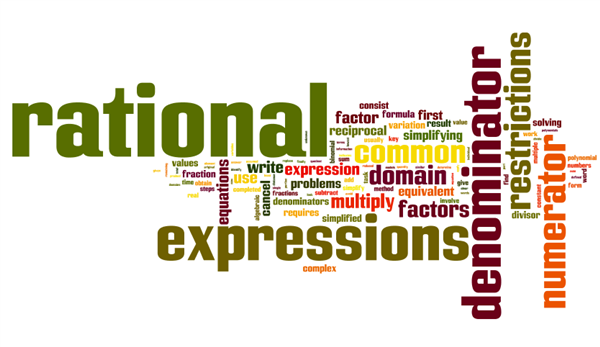 here is a video that helped me understand how to add and subtract (binomial denominator) kinds of expressions. And here is another video that helped me understand how to add and subtract rational expressions with a trinomial denominator (in the video the trinomial has already been factored).